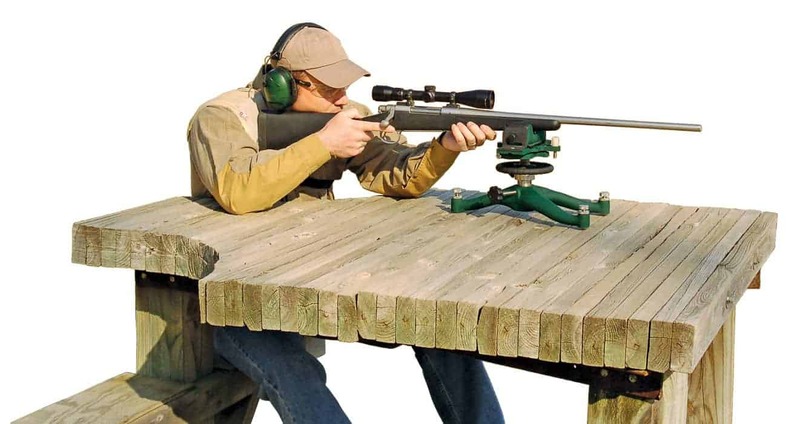 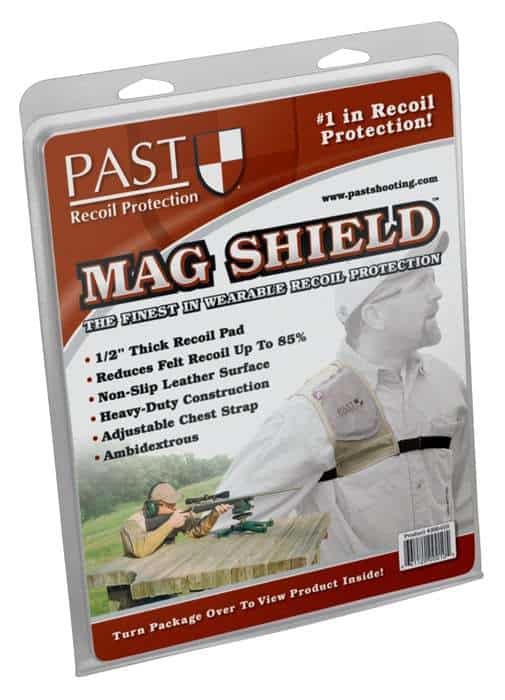 The PAST original Mag Shield™ is designed to provide unparalleled recoil protection while sighting in your rifle, benchrest shooting, or participating in many other shooting activities.The size and shape of the Mag Shield creates the perfect combination of function and comfort. 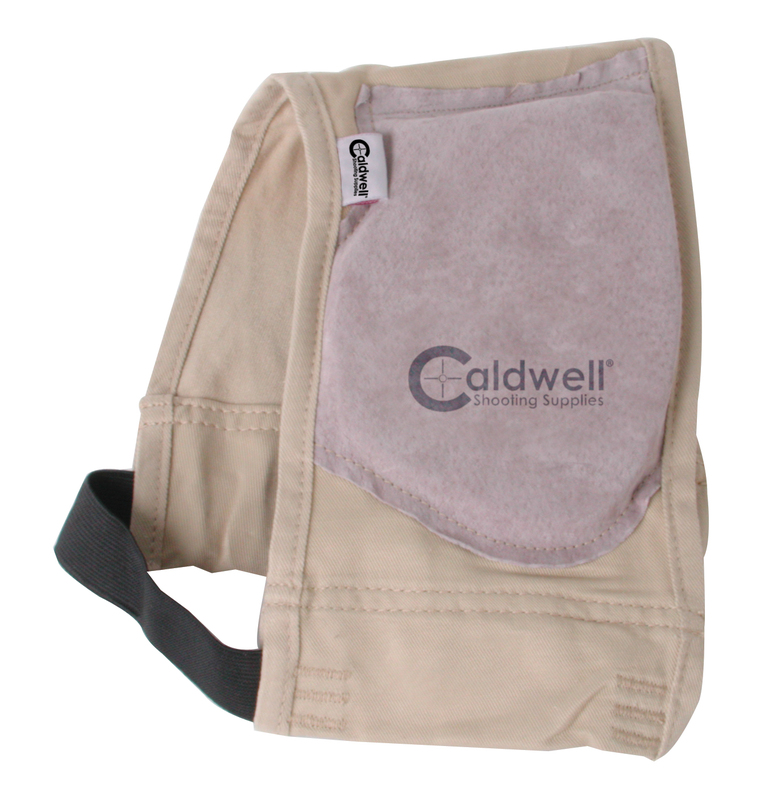 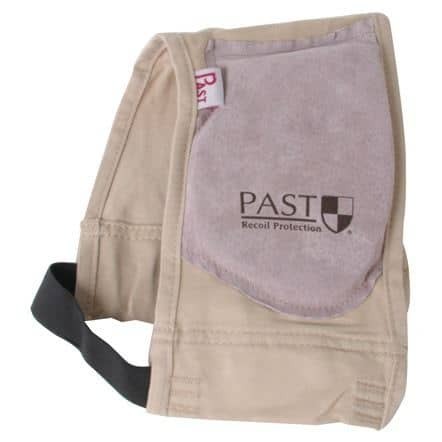 It can be worn on the left or right shoulder and attaches with an easily adjustable side closure for a secure fit. 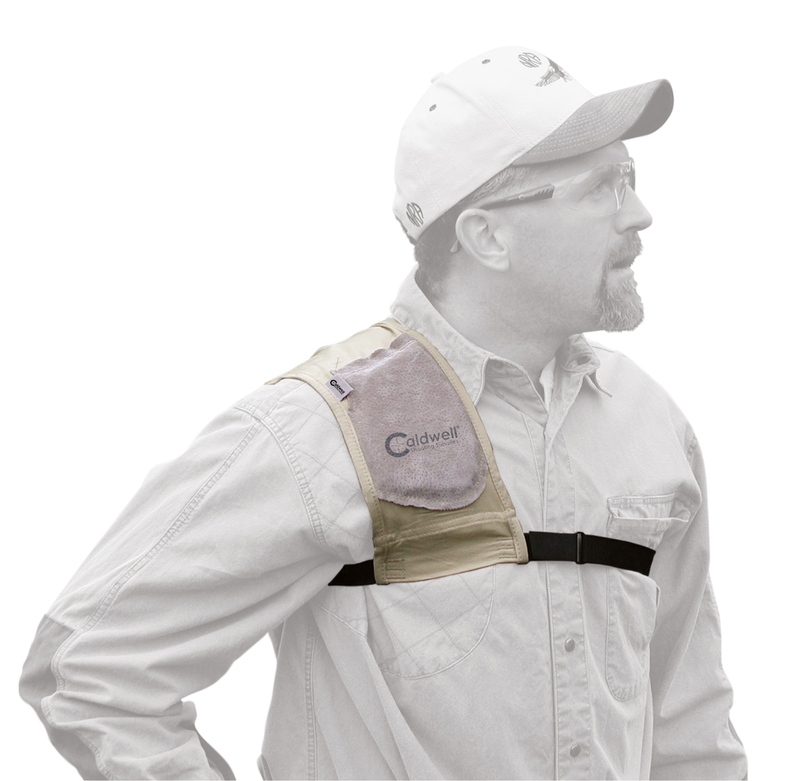 The leather on the front secures the gun in place, while the leather on the back of the shield provides a comfortable feel and prevents the shield from sliding around on your shoulder. 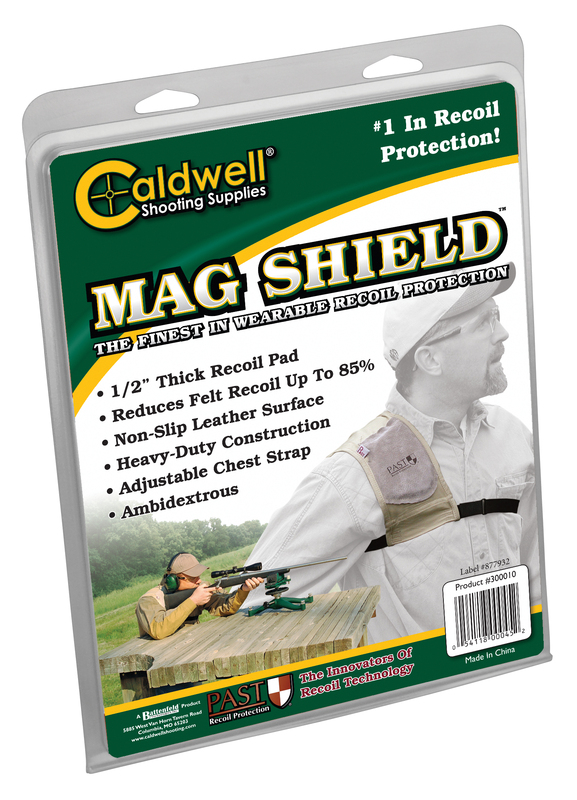 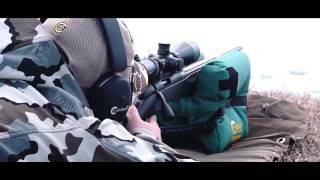 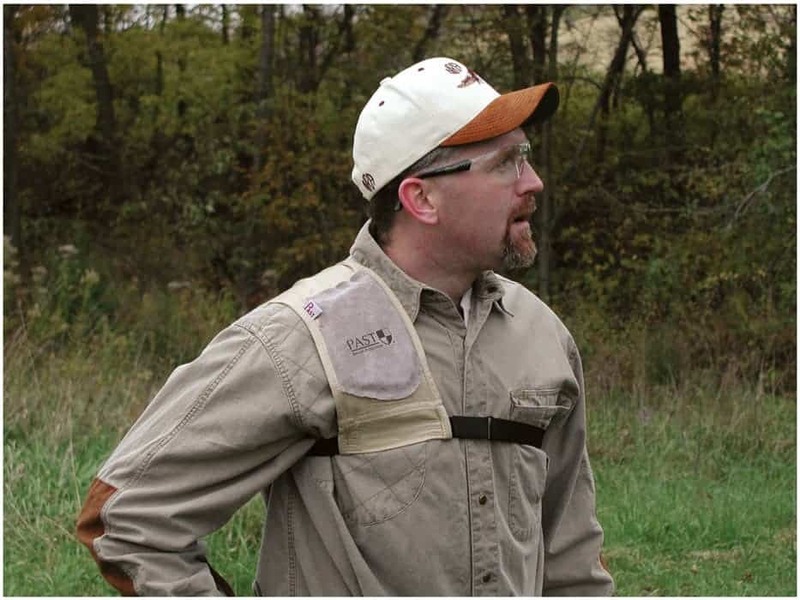 The shield’s 1/2″ thick, energy-absorbing pad provides excellent protection for calibers up to 300 Winchester Magnum.